Meredith Salenger and Patton Oswalt seen at TriStar Pictures "Baby Driver" Los Angeles Premiere Sponsored by Subaru at Ace Hotel Downtown Los Angeles on Wednesday, June 14, 2017, in Los Angeles. 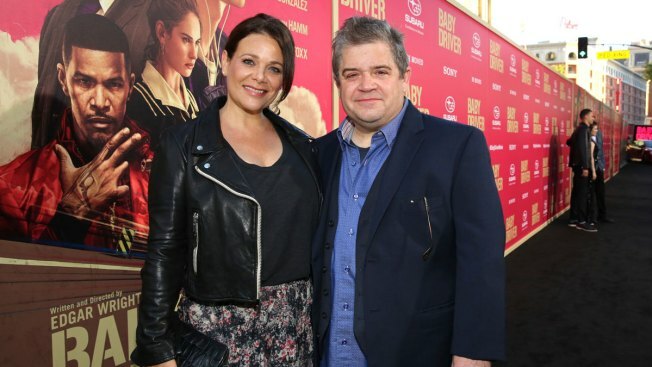 After 14 months of grief over the sudden death of his wife, actor and comedian Patton Oswalt attended the premiere for "Baby Driver" in Los Angeles accompanied by new girlfriend, actress Meredith Salenger. Salenger shared her joy over Twitter with a selfie of the couple. In April 2016, Oswalt discovered his wife Michelle unresponsive in their bed. Her death was found to be caused by a fatal combination of drugs, including Adderall, Xanax, and Fentanyl. The writer was unaware that she had a medical condition that caused blockages in her arteries. Last August, Oswalt penned a touching tribute to his late wife that he shared on Facebook. In that note he also wrote about the challenges of moving on with his life. "I'm going to start telling jokes again soon. And writing. And acting in stuff and making things I like and working with friends on projects and do all the stuff I was always so privileged to get to do before the air caught fire around me and the sun died. It's all I knew how to do before I met Michelle," Oswalt wrote. "I don't know what else I'm supposed to do now without her." Oswalt is father to 8-year-old daughter, Alice, with his late wife.